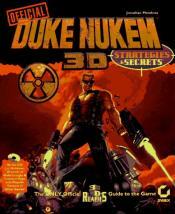 The only officially authorized guide to the revolutionary game, Duke Nukem 3D! It features exclusive coverage of game cheats, extensive multilevel maps, hints, winning strategies, plus interviews with the developers. The companion CD offers Duke Nukem maps, video walkthroughs of every DN3D level, and 6 playable demonstration versions of other Apogee games.